US stocks climbed, adding to gains in the afternoon after the Federal Reserve hiked interest rates 25 basis points and boosted its economic growth outlook for 2018. The S&P 500 was little changed, while the Dow Jones Industrial Average increased 0.4% and the more tech-heavy Nasdaq 100 climbed 0.2%. 1. 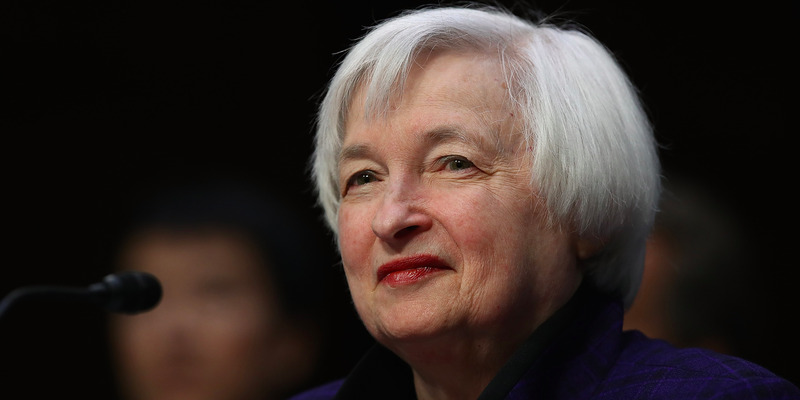 Fed raises interest rates as Yellen’s term nears its end. As expected, the central bank increased the federal funds rate by 25 basis points. This will eventually lift the interest rates banks charge for various consumer-credit products, like mortgages and loans. 3. A wildly popular stock market strategy is hotter than ever. The so-called “buy the dip” method has enjoyed an unprecedented period of popularity and success. 4. The mysterious trader known as ’50 Cent’ has lost $US197 million betting on a stock market meltdown. The trader has consistently purchased bite-sized chunks – usually costing around 50 cents – of options contracts betting on a spike in the the CBOE Volatility Index, or VIX. 5. Litecoin’s record week keeps going. The cryptocurrency has been on a hot streak this week, up 122%, after creator Charlie Lee appeared on CNBC Monday morning.